We just love this freebie! 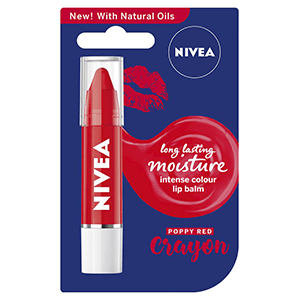 You can claim 1 of 3 NIVEA Lip Crayons colours including Coral, Hot Pink or Poppy Red. Sign up now to claim yours! But hurry only a limited amount. Click GET IT HERE and sign up and then apply to claim 1 of 3 NIVEA Lip Crayons.